Brenda Pressley (Faye) Ms. Pressley's Broadway credits include The Lyons, The American Plan, Cats, Dreamgirls and The Moony Shapiro Songbook. Off-Broadway, Brenda starred in Almost Home, The First Breeze of Summer, Seven Guitars, Fran’s Bed, Marvin's Room, And The World Goes ‘Round (Outer Critics Circle Award) and Blues In The Night. Regional theatre appearances include Intimate Apparel, Black Odyssey, Trouble in Mind, The Old Settler (Barrymore Award), Blues For An Alabama Sky and A Raisin In The Sun. In film, Ms. Pressley has appeared in Third Street Blackout, Detachment, 16 Blocks, Cradle Will Rock and It Could Happen To You. 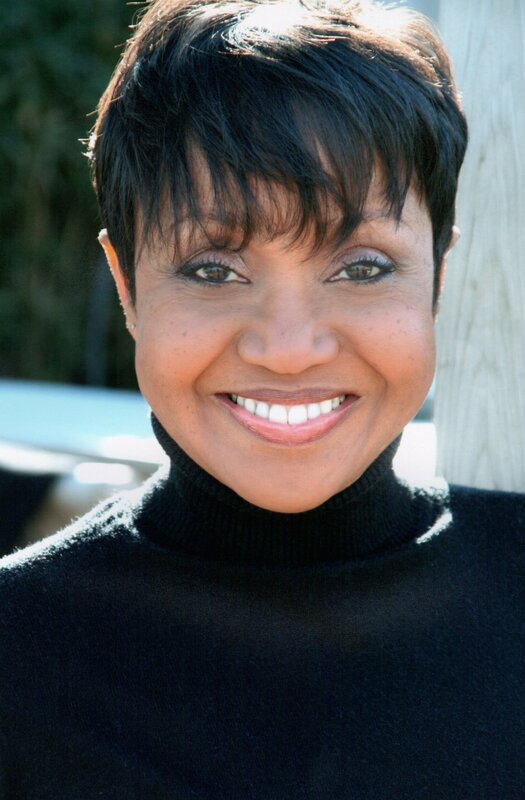 On television, Brenda has guest starred on such shows as The Path, The Good Wife, Elementary, Mysteries of Laura, Body of Proof, Law and Order; Deadline; Law and Order: SVU, Harambee, Lifestories and Brewster Place with Oprah Winfrey. 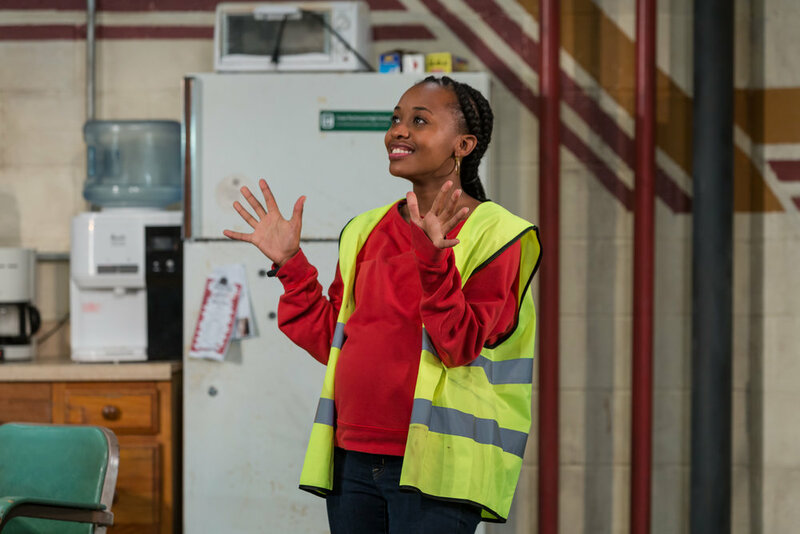 Mirirai Sithole (Shanita) is a New York City-based actress who has worked at various Off-Broadway venues throughout the city. Select NY Theatre Credits: School Girls; Or, The African Mean Girls Play (MCC, Lortel Nomination, Drama Desk Ensemble Award); The Homecoming Queen (Atlantic Theatre Company); Suzan-Lori Parks' The Death of the Last Black Man... (Signature Theatre Company); Mother Courage and Her Children, which garnered Mirirai the Rosemarie Tichler Award for her portrayal of Kattrin (CSC); Frontieres Sans Frontieres (Bushwick Starr); and Autumn's Harvest (Lincoln Center Education). 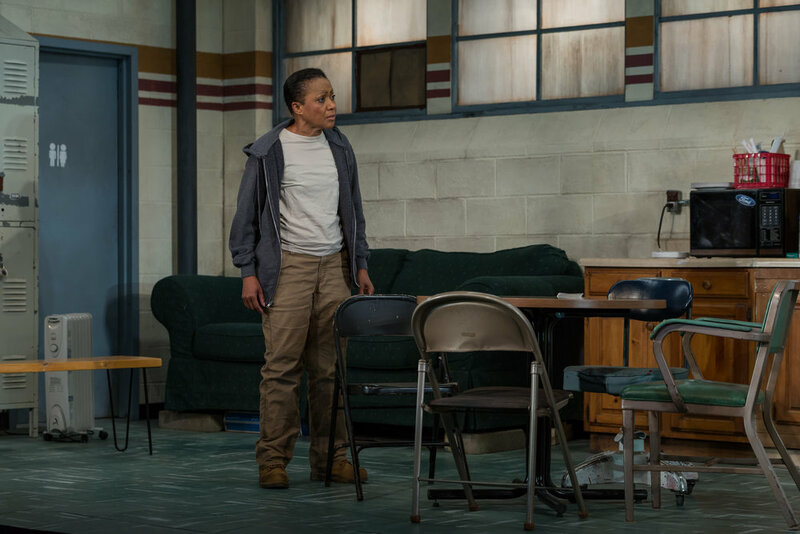 Regional: Remix 38 (Humana Festival); Our Town and Christmas Carol (Actors Theatre of Louisville). Most recently she was at the Sundance Institute Theatre Lab in Marrakesh, Morocco. On TV she has appeared in Bull, The Affair, Master of None, Broad City, and soon to be released Russian Doll on Netflix. Mirirai played the lead in Ace, a short film by Morgan Kahn Nichols that won the best New York Short Jury Award at NewFest 2017. She received her BFA in theatre from Adelphi University and was a member of the Professional Training Company at Actors Theatre of Louisville. miriraisithole.com. Gabriel Lawrence (Reggie) is thrilled to make his Dorset Theatre Festival debut. He is an actor, filmmaker, educator, and a recipient of New York Theatre Hall of Fame’s 2018 Emerging Artist Award. 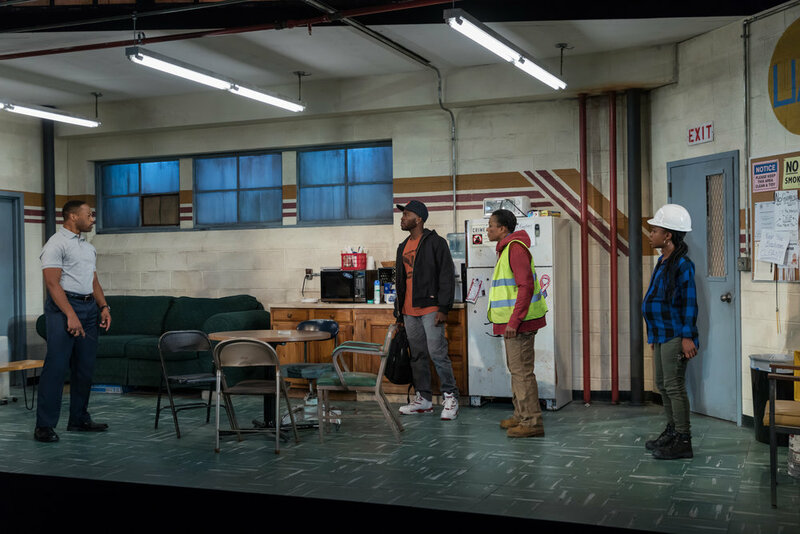 Off-Broadway: National Black Theatre: Carnaval (Audelco Award - Best Ensemble). Tour: The Acting Company: Macbeth, Julius Caesar (Title Roles) and X: or Betty Shabazz v. The Nation. 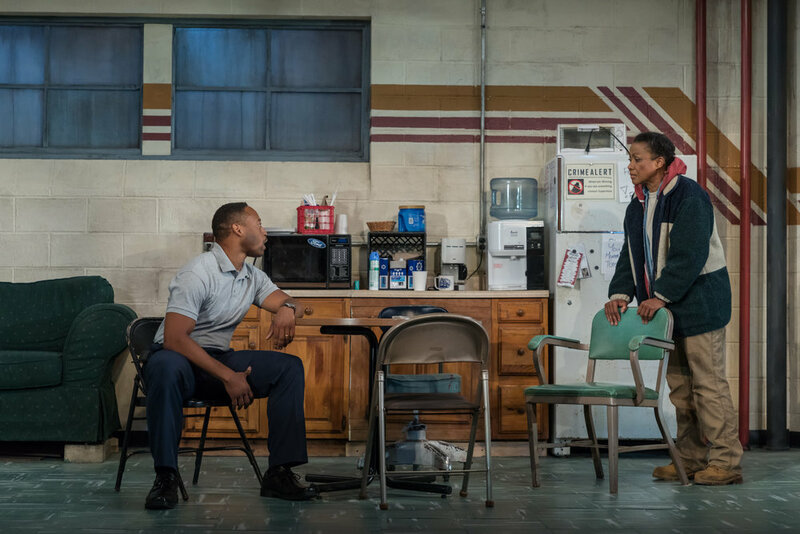 Regional: Baltimore Center Stage: Skeleton Crew, Cincinnati Playhouse in The Park: To Kill A Mockingbird, Shakespeare Santa Cruz: Man In the Iron Mask, Rubicon Theatre: Baby Dance: Mixed, Human Race Theatre: Lombardi. TV: Madam Secretary, The Good Fight, Mysteries of Laura, Shades of Blue, Alpha House, What Would You Do? Education: MFA: University of California, San Diego (Theatre), BA: West Texas A&M University (Mass Communication). For more information visit mrgabriellawrence.com. Dominique Morisseau (Playwright) is the author of The Detroit Project (A 3-Play Cycle) which includes the following plays: Skeleton Crew (Atlantic Theater Company), Paradise Blue (Signature Theatre), and Detroit ’67 (Public Theater, Classical Theatre of Harlem and NBT). 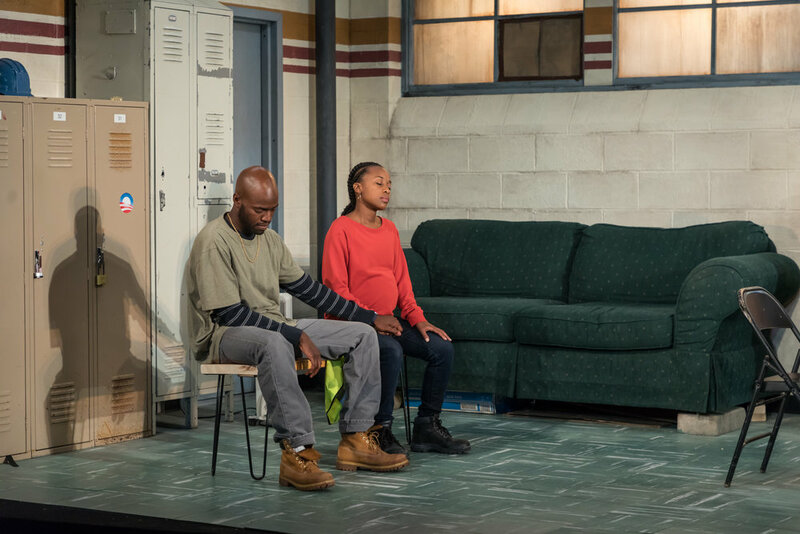 Additional plays include: Pipeline (Lincoln Center Theatre), Sunset Baby (LAByrinth Theatre); Blood at the Root (National Black Theatre) and Follow Me To Nellie’s (Premiere Stages). 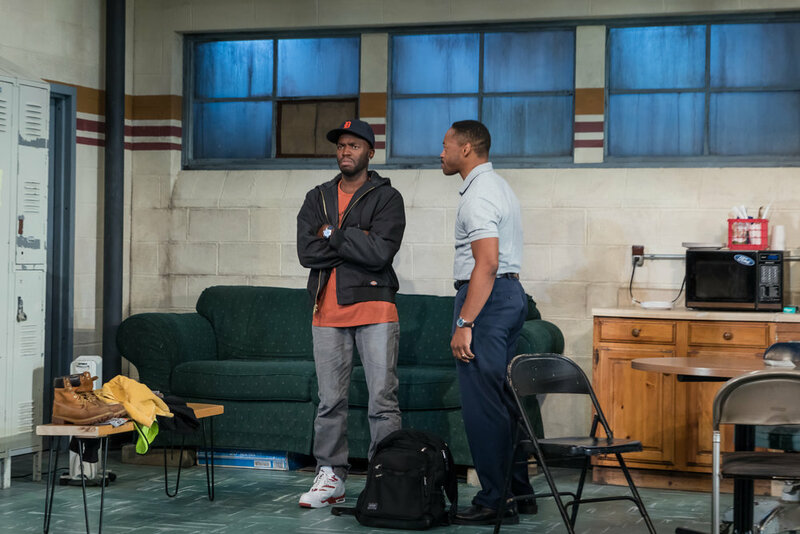 She is also the book writer on the new musical Ain’t Too Proud – The Life and Times of the Temptations (Berkeley Repertory Theatre). Dominique is an alumna of The Public Theater Emerging Writer’s Group, Women’s Project Lab, and Lark Playwrights Workshop and has developed work at Sundance Lab, Williamstown Theatre Festival and Eugene O’Neil Playwrights Conference. Her work has been commissioned by Steppenwolf Theater, Women’s Project, South Coast Rep, People’s Light and Theatre, and Oregon Shakespeare Festival/Penumbra Theatre. She most recently served as Co-Producer on the Showtime series Shameless. Awards include: Spirit of Detroit Award, PoNY Fellowship, Sky-Cooper Prize, TEER Trailblazer Award, Steinberg Playwright Award, Audelco Awards, NBFT August Wilson Playwriting Award, Edward M. Kennedy Prize for Drama, OBIE Award, Ford Foundation Art of Change Fellowship, and being named one of Variety’s Women of Impact for 2017-18. Jade King Carroll (Director) received the Paul Green Award for Outstanding Emerging Theatre Professional. Past Fellowships & Awards: New York Theatre Workshop, Van Lier, Second Stage Theatre, Women’s Project, McCarter Theatre, SUNY 40 under 40, TCG New Generations Future Leader, and Gates Millennium Scholar. 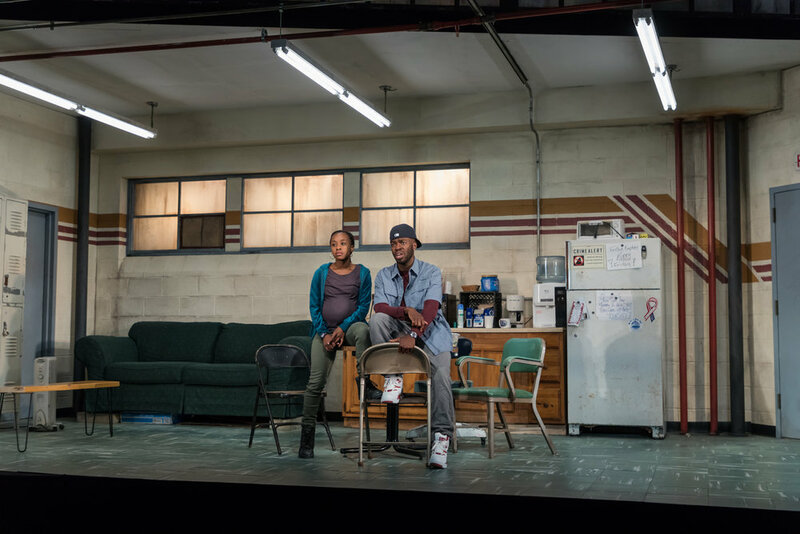 Past productions include: Skeleton Crew (Marin Theatre Company), Intimate Apparel and The Piano Lesson (McCarter Theatre), The Piano Lesson (Hartford Stage), Having Our Say (Long Wharf Theatre), Sunset Baby (City Theatre), Autumn’s Harvest (Lincoln Center Institute), Mr. Chickee’s Funny Money (Atlantic Theater), The Etymology of Bird (CitiParks Summer Stages), The Children’s Monologues (Carnegie Hall), Associate Director for A Streetcar Named Desire and The Gin Game (Broadway). Kristen Robinson (Scenic Designer) is an NYC-based set designer. Her work ranges from site-specific installations to outdoor Shakespeare. Selected credits include: A Flea In Her Ear (Westport Country Playhouse), Ethel, (Alliance Theater), Love’s Labours Lost (Great Lakes Theatre/Idaho Shakespeare Festival/Lake Tahoe Shakespeare Festival), Porto (WP Theater),Company (Barrington Stage Company), Heart of Darkness (Baryshnikov Arts Center), Minor Character (Under the Radar Festival). 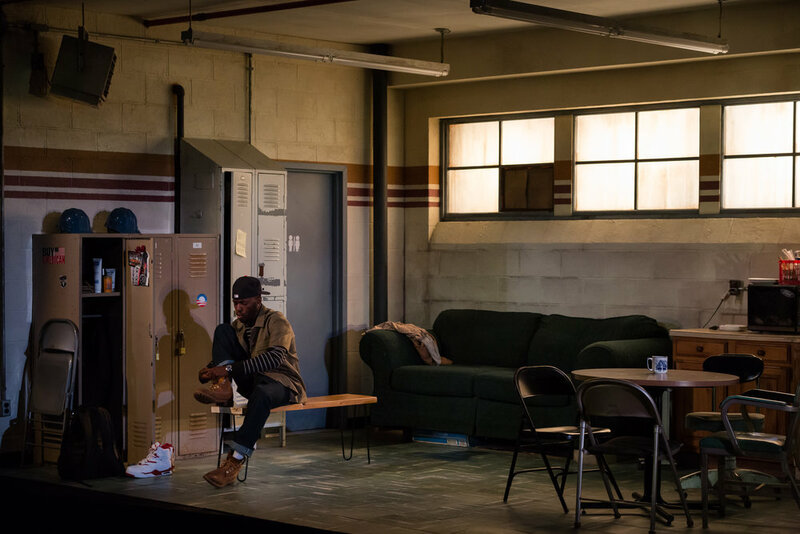 Her design for Westport Country Playhouse’s Nora has been featured in Chance Magazine issue 4, and her design for Rapture Blister Burn at The Wilma Theatre won the 2015 Barrymore Award for Best Set Design. A Princess Grace Fellow, she holds her MFA from Yale. You can see her work at www.kristenrobinsondesign.com. USA 829. 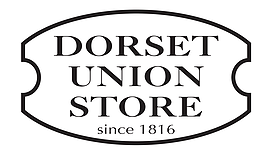 Michael Giannitti (Lighting Designer) has been working with Dorset Theatre Festival since 2010, the first 6 years as Producing Director. His lighting designs include the original Broadway production of August Wilson's Joe Turner's Come and Gone, 45 productions at The Studio Theatre in Washington, DC (including 5 years as resident lighting designer), 26 productions at Shakespeare Theatre of NJ, and many productions at Trinity Rep, Capital Rep, Portland Stage, Shakespeare & Company, Weston Playhouse, Arkansas Rep, Barrington Stage, Chautauqua, Virginia Stage, Indiana Rep, George Street, Arena Stage, Old Globe, Seattle Rep, Huntington, Yale Rep, Olney and other theatres. NYC lighting designs include 59E59, Dance Theatre Workshop, Danspace Project, The Joyce, The Kitchen, Here Arts Center, P.S. 122, La Mama, and the Off-Broadway production Sounding Beckett, originally produced at the Library of Congress. He has been on the Bennington College Faculty since 1992. As a Fulbright Specialist Grant recipient, he taught in New Zealand and Romania, and has been a guest lecturer at the Guangxi Arts Institute in China. MFA: Yale School of Drama; BA: Bates College. www.michaelgiannitti.com. Karin Graybash (Sound Designer) has created numerous sound designs for Regional Theater and Off Broadway, including: Hartford Stage, Long Wharf, Berkeley Repertory, Dallas Theater Center, Yale Repertory, McCarter, Arena Stage, Portland Stage, Folger Theatre, TheatreWorks, and the Alliance, among others. Her conceptual sound design for Popsicle’s Departure was also produced internationally. 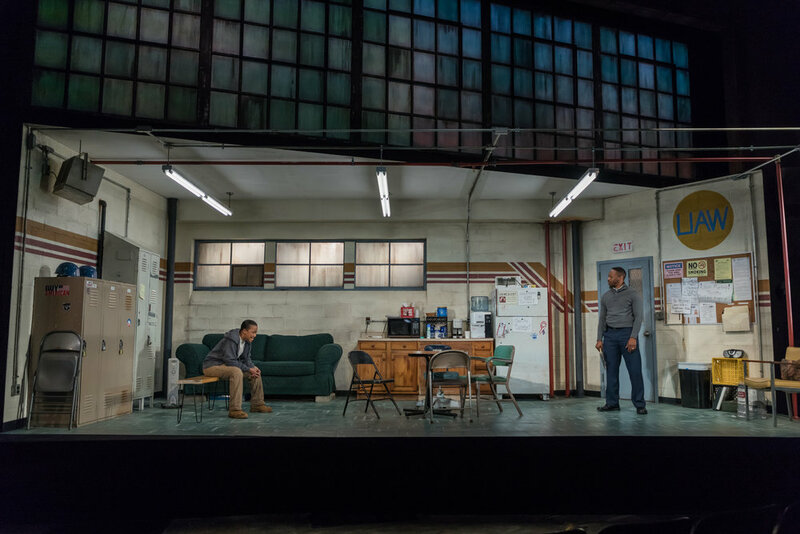 Her work has been nominated for a variety of awards and she is a recipient of the Bay Area Theatre Critics Award for her sound design of Polk County at Berkeley Repertory Theatre. Karin was the original live sound consultant for the multi-media production Freedom Rising at the National Constitution Center. Many of her soundscapes can be heard at The Franklin Institute’s exhibit entitled Your Brain. Karin also holds the position of Sound Supervisor for the Mason Gross School of the Arts at Rutgers University. Joey Moro (Projection Designer) is a New York based designer, who designs lighting, projection, and scenery. Recent projection work: Fidelio (Heartbeat Opera); Die Fledermaus (Stony Brook Univ. ); Vietgone (TheatreSquared); The Last Five Years (Mexico City); Only You Can Prevent Wildfires (Teatro Circulo); Once On This Island (Le Petit Theatre); Death of the War Poets (Sheen Center); Orange Julius (Rattlestick Playwrights Theatre); Long Gone Daddy (Mile Square Theater); Orlando (Set and Projection, Yale Summer Cabaret). Recent lighting: Baltimore Waltz (Set and Lights, Syracuse Univ. ); Streetcar (Le Petit Theatre); Hair (Hofstra Univ. ); Eurydice Project (Dublin); Detroit (Theatre Squared); Dracula (Mile Square Theater). Joey is a founding member of SpaceWing Design, a collective that aims to set the new standard for design excellence and unbridled creativity in the performing arts. MFA, Yale School of Drama.